i met alexis about 3 1/2 years ago at santa monica gymnastics center, where we both coached. i was a newcomer to los angeles at the time and meeting people in the gymnastics community was a much needed home away from home. alexis and i soon realized that we grew up just a couple of hours away from each other in michigan and were probably unknowingly at many of the same gymnastics competitions. how funny that our paths finally crossed as adults so many years later on the other side of the country. alexis traveled in for this photo session from las vegas on the last possible weekend before she'll have to stay put and wait for her little guy to arrive. we were so lucky to have missed the rain by one day. it was totally worth tromping down the muddy path, as we were delighted to see such clear skies and green landscapes that can only result from a rainy winter in LA. i've been envisioning these maternity photographs for quite some time, patiently waiting for the perfect opportunity.. and this was it. the first image is one that i specifically had in mind, a simple and serene moment in time, the shape of the hillsides ever so subtly echoing the beautiful form of an expecting mother. as i look at these photographs, i am at a loss for words. it fills me with great honor to be asked to document such special moments in life. i am so appreciative to be able to spend time with lovely people in magical places like this one. thanks so much, alexis and justin! I am so thankful that I was given the opportunity to photograph this adorable 8 month old, because she certainly made me smile and brightened my week. This age (6-8 months) is such an absolute joy to document. They are not yet crawling away, but their personalities are so bright and playful. 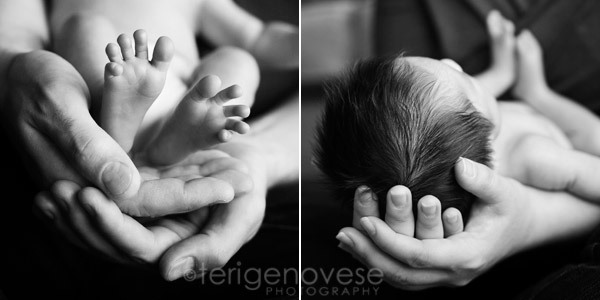 Babies at this stage are a perfect reminder of the simplest joys in life, and this little one was no exception. They amaze me every time. i think this 7 month old baby girl is just about as cute as they come. i anxiously awaited the birth of this beautiful baby. i couldn't wait to photograph him, especially after meeting his lovely parents at their maternity photography session. i think we happened to shoot on the most overcast day in los angeles history, but we still managed to make plenty of gorgeous, peaceful photographs of this sleepy little guy. thanks again for inviting me in to share this special time with your growing family! i've met and photographed so many unique families lately and this one was no exception. in fact, i've wanted to meet this family since they first emailed me in the fall of 2007! i was so excited when they wrote again a few weeks ago to see about documenting this special time. not only are they expecting a little boy, but they are also in the process of adopting their second daughter from China, which i think is so wonderful. even though we didn't get a typical sunny california beach day, the light was soft and still so beautiful in its own way. i had such a great time with this little one for sure. at 3, she has such a big girl voice and made me smile the whole time through. i can't wait to meet the little one who is due the first week of July! thanks again for braving the unusually chilly ocean air; it was worth it for sure!